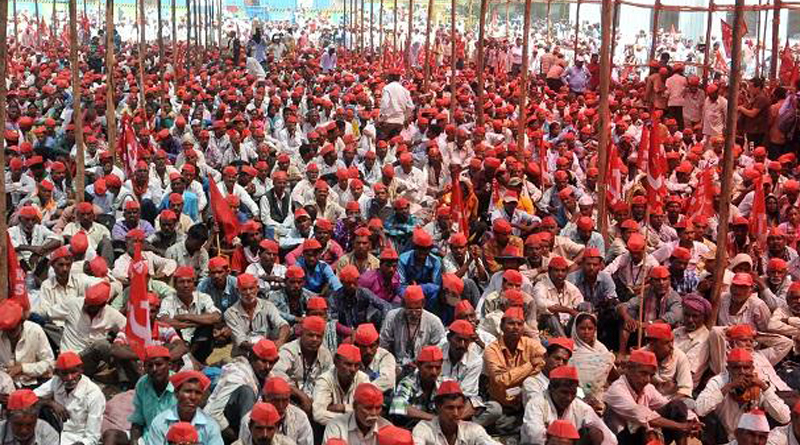 The farmers’ march in Maharashtra last month got much sympathy from a public fed on stories of rising farm suicides. But the agitating farmers demanded waivers of all farm loans and electricity dues. Such outrageous demands for freebies may impress politicians wooing the farm lobby, but will not improve justice or fairness. Rising farmer agitations are not good indicators of rural distress. Rather, they reflect high returns to agitations, increasing the incentive to organise and make new demands. Farm loan waivers have been granted by UP, Maharashtra, Rajasthan, Karnataka and Punjab. Many states provide free farm electricity. Meanwhile non-performing bank loans for agriculture are up from 2% to 6%. One reason is that farmers default, hoping their dues will soon be waived. The biggest farmers get the biggest bank loans. Marginal farmers and labourers get little or no formal credit, and borrow at extortionate rates from moneylenders. Waiving bank loans will fatten the richest while neglecting those in real need. Some farm families own hundreds of acres, and one farmer in Punjab has 150 tubewells. Most small farmers have no tubewell at all. So free electricity benefits the biggest and richest farmers. Landless labourers are far poorer than farmers, but get no benefit from loan waivers or free electricity. The Modi government promises higher food prices to help farmers, but this will hit labourers, for whom cheap food is a blessing. Farmers are a powerful lobby across the world, even in rich industrialised countries like the US. In India, rural areas represent two-thirds of the population and almost half of all employment, so they have much political clout. State governments have been falling over one another to woo the farm vote bank. The fact that loan waivers and free power mostly benefit large farmers and not poor labourers is hardly mentioned in media debates. One reason is that the public has been fed with stories of rising farm suicides, so nobody wants to be accused of promoting such suicides. Sorry, but there is nothing special about suicide rates of farmers, and they are not rising. The national suicide rate has historically been in the region of 10-11 deaths per one lakh of population, not very different from the rate globally or in rich countries like the US. Indian farmers have a lower suicide rate than non-farmers. In a 2012 research paper in The Lancet, Vikram Patel and others found that suicides among unemployed persons and those professions outside agriculture were, collectively, thrice as frequent as among farmers and agricultural labourers. Suicide rates are 10 times higher in southern states than northern ones, mainly for cultural reasons. Former Niti Aayog chief Arvind Panagariya showed that barely 25% of rural suicides were farm-related. Some other studies using a narrow definition of farmers claim that farmers have a higher suicide ratio than others. The question remains whether farmers should be defined as self-cultivators, cultivators plus agricultural workers, or all persons connected with agriculture. Broadly speaking, almost half of Indian households claim to be employed in agriculture. On any broad basis, the farm suicide rate is lower than the non-farmer rate. Puducherry, with little agriculture, has the highest suicide rate among states, followed by Kerala. This surely has nothing to do with low farm prices. Anuradha Bose in The Lancet in 2004 found that the suicide rate among Tamil girls aged 10-19 was 148 per lakh people. This is over ten times the farm suicide rate, yet the latter hogs the headlines. Depression and mental health are the main causes of suicides, which is why rich nations also suffer, but nobody discusses this problem. Official data shows farm suicides rose from around 11,000 in 1995 to 18,241 in 2004, and then fell substantially. Farm suicides fell to 12,602 in 2015 and 11,370 in 2016. This is hardly 8% of total suicides, although almost 50% of the population is engaged in farming. The accuracy of suicide data can be questioned, but the overall trend shows declining, not rising distress. A reply to a Lok Sabha question showed suicides rising among agricultural labourers (from 4,595 in 2015 to 5,019 in 2016) even as they fell among land-owning farmers (from 8,007 to 6,351). This suggests rural distress is greater among labourers than farmers. Let me repeat a suggestion made in an earlier Swaminomics column. If farmers are to be aided, the best way is a flat subsidy of Rs 4,000 per acre per cropping season, up to a limit of five acres, while ending other subsidies. This will provide a safety net without distorting farm prices and production.